The story of vidaXL begins in 2006, when two young Dutch entrepreneurs start selling products on eBay. This quickly expands into its own brand. Currently vidaXL is a major international online retailer all kinds of products for home, garden and garage. This includes power tools as well. 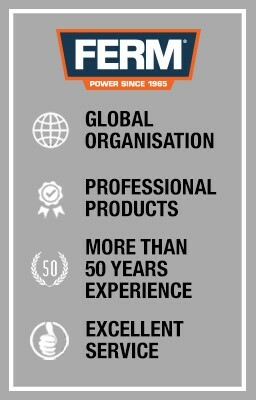 Currently FERM power tools are sold in the Netherlands, Belgium, France, Germany, Switzerland, UK, Italy, Austria, Spain, Bulgaria, Croatia, Czech Republic, Denmark, Estonia, Finland, Greece, Hungary, Ireland, Latvia, Lithuania, Norway, Poland, Portugal, Romania, Slovakia, Slovenia, United States and Sweden. vidaXL is growing rapidly, so soon more FERM products will be available in other countries.